My stepmom was kind enough to get me a guest pass to the Nike employee store here in Portland at their world headquarters. Tons of cool stuff and all of it is about half price compared to normal retail prices. Awesome! 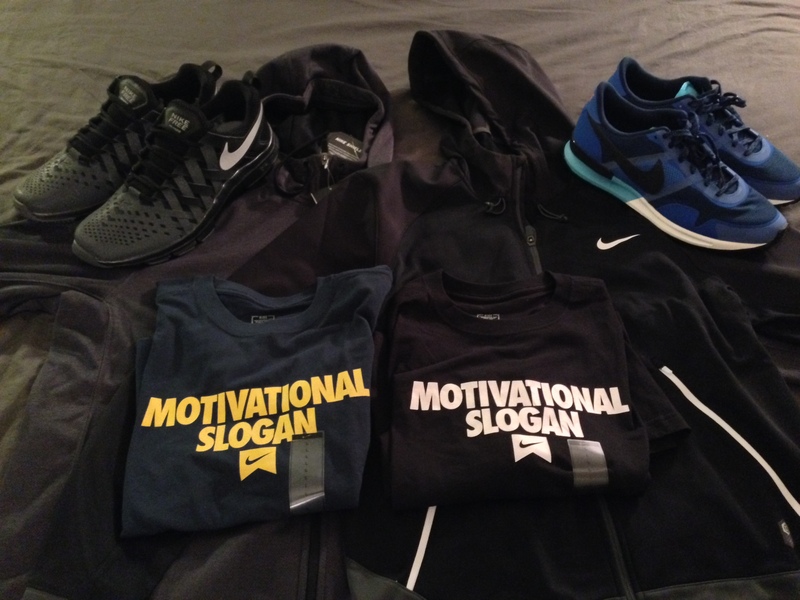 I picked up a pair of flexible trainer shoes for use with walking and stuff like that, a pair of normal shoes, two sweet jackets, and two shirts with a humorous message on them. This entry was posted in Personal and tagged Nike, shoes. Bookmark the permalink.